Mercedes used the 2018 Detroit auto show to unveil a redesigned G-class SUV but won't be returning to the show in 2019. Mercedes-Benz confirmed it will have no formal presence at the Detroit auto show in 2019, striking a blow to the event as more manufacturers save major vehicle introductions for tech conferences or their own special showcases. Mercedes cited the "rising complexity" of the auto industry and the slew of products and services it’s developing for the decision to reassess its participation in the Detroit show. The automaker said it will decide on participating in future auto shows and events on a case-by-case basis. “We are presently working to adjust the scale and size of our auto shows and trade fairs concepts to better align with our upcoming model launches,” the company said in a statement. On Friday, Automotive News, citing Mercedes executives, reported the luxury brand was expected to skip the 2019 Detroit auto show. Company officials told the newspaper Mercedes was deciding "whether a trade show like Detroit fits with the cadence of our launch calendar and whether there's a more effective format for our needs." Max Muncey, a spokesman for the Detroit auto show, confirmed Mercedes will skip the event next year, noting that the show is “actively discussing future opportunities” with the brand. Initial meetings with technology providers and other automakers for the 2019 show have “hinted at some big product news earmarked for Detroit,” he added. 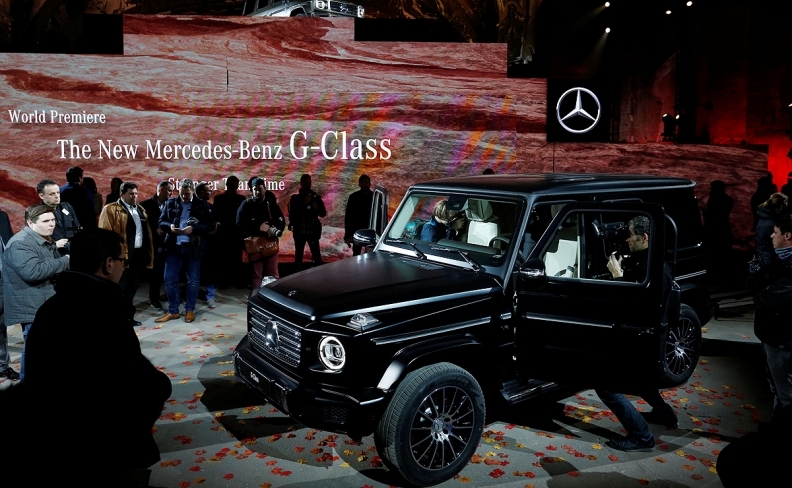 Last month, Mercedes made a splash in Detroit when it unveiled the revamped G-Class SUV, drawing on the star power of former California governor Arnold Schwarzenegger. Daimler, Mercedes’s parent, is moving toward standalone introductions of new models and technology summits such as CES in Las Vegas, people familiar with the matter told Bloomberg News last week.